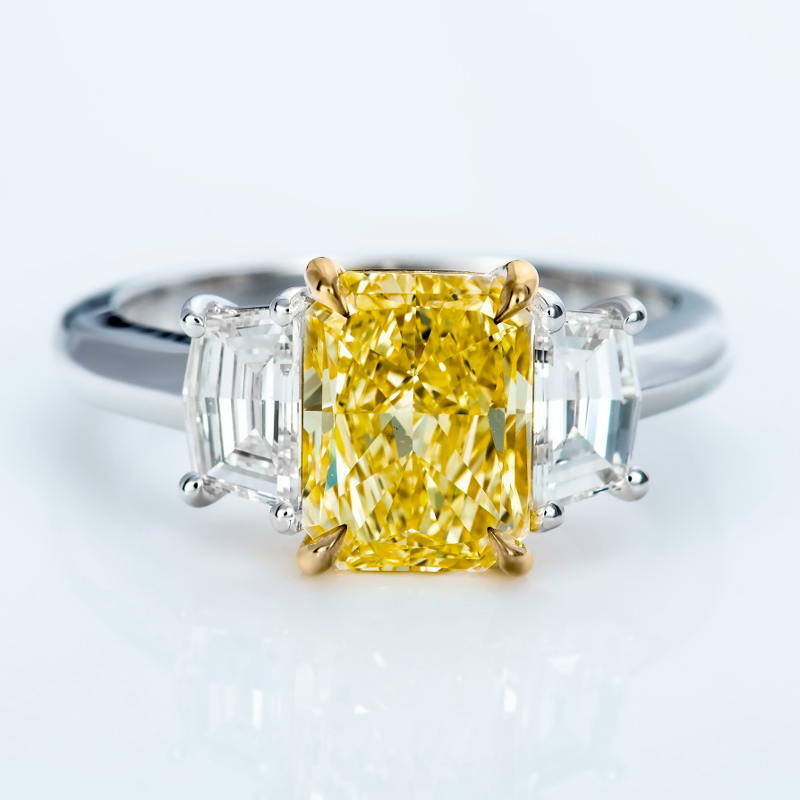 Three stone platinum yellow diamond ring weighing 2.77 carat. Center diamond is a beautiful fancy light yellow diamond weighing 2.04 carats - graded by the GIA and with SI1 clarity. It is mounted in a yellow gold cup that brings out the yellow color.